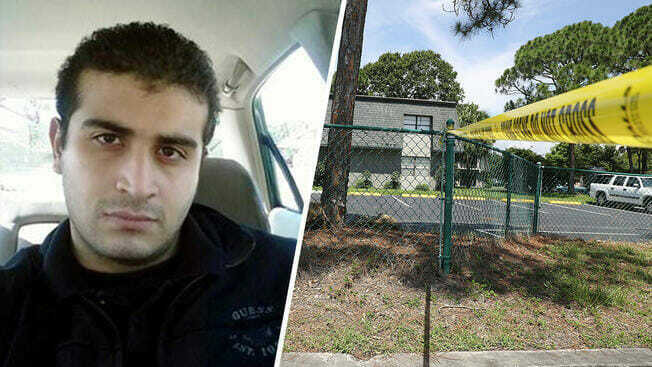 Omar Mateen slaughtered 49 people in cold blood at an Orlando gay club in June. He was a Hillary supporter. His father is also a Hillary supporter. Pulse massacre shooter Omar Mateen prayed at the central Florida mosque before his mass shooting at the Orlando gay club in June. An imam has released video footage of Orlando nightclub shooter Omar Mateen praying in a central Florida mosque four days before the attack that killed 49 people and injured 53 others on June 12. Imam Helmi Elagha told reporters Wednesday that he was unaware that Mateen had visited the mosque until FBI investigators contacted him a couple of days after the June 12 shooting at Pulse nightclub. The imam showed reporters a grainy, freeze-frame image of a man he identified as Mateen walking into the mosque about 10:30 p.m. on June 8. He said Mateen “kept his head down” and went to a corner, where he prayed for about 10 minutes. He says he doesn’t believe anyone exchanged words with him. “I’m just thinking, ‘How are you praying? … You were contemplating killing people in a couple of days,'” Elagha, executive director of the American Muslim Leadership Council, said at a news conference. Mateen stopped at the mosque, which is located in a tourist strip not far from Walt Disney World, during Ramadan, which is Islam’s holy month. His wife and child were with him, but they entered the building from a different entrance, Elagha said. It’s common for tourists to stop in at the mosque, Elagha said, adding that the FBI told him it was the only time Mateen visited. Mass murdered Omar Mateen, who slaughtered 49 people at a gay Orlando nightclub, was buried in a Muslim cemetery in Florida.